Lorne Korman, PhD, R.Psych., is a registered psychologist and Clinical Associate Professor of Psychiatry at the University of British Columbia. 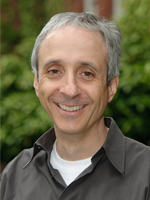 Dr. Korman’s research has focused on adapting DBT to help adults and youth struggling with anger and addiction. Dr. Korman is featured in the APA video Working with Anger, and he is the author of an empirically supported module of skills for anger problems. He has published numerous articles and chapters on emotion, psychotherapy, and DBT, most recently co-authoring a chapter with Dr. Kyle Burns on treating suicidal adolescents who have concurrent substance use disorders.